High-heel ladies’ pumps with a tapered shape. The ankle straps elegantly complete the design and lend it an exciting touch. 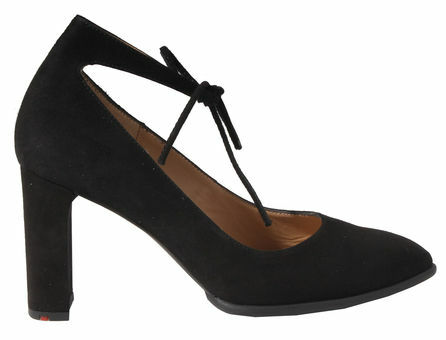 The elegant block heel and the cushioned insoles ensure they are comfortable to wear. The rubber outsole with curved edges forms a successful, simple, sporty-elegant contrast and ensures it is anti-slip, even on wet ground.